The Best Recipes to Take to A Potluck or Party! It can be a little challenging to stick to your healthy lifestyle in social settings when you’re first starting out. Today I want to share some of my F A V O R I T E quick and easy A Healthy Passion meals perfect to take with you to any party so you have something you know will make you feel good. And they’re absolutely delicious so your friends won’t even realize they’re healthy! 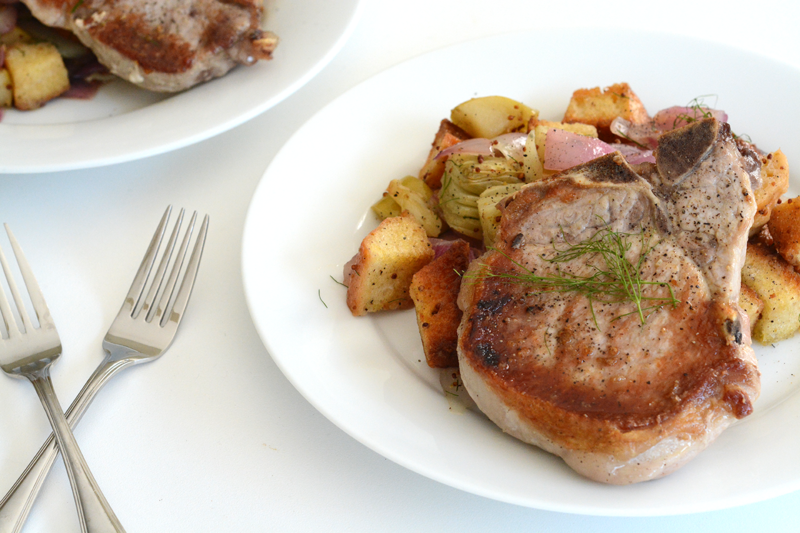 Traditionally a Tuscan bread salad with tomatoes and an oil and vinegar dressing, we put a fun fall twist on it by mixing our ciabatta croutons with fennel, apple and a honey-mustard dressing before topping our warm and crispy bread salad with juicy bone-in pork chops! Time to revive an old favorite of ours! 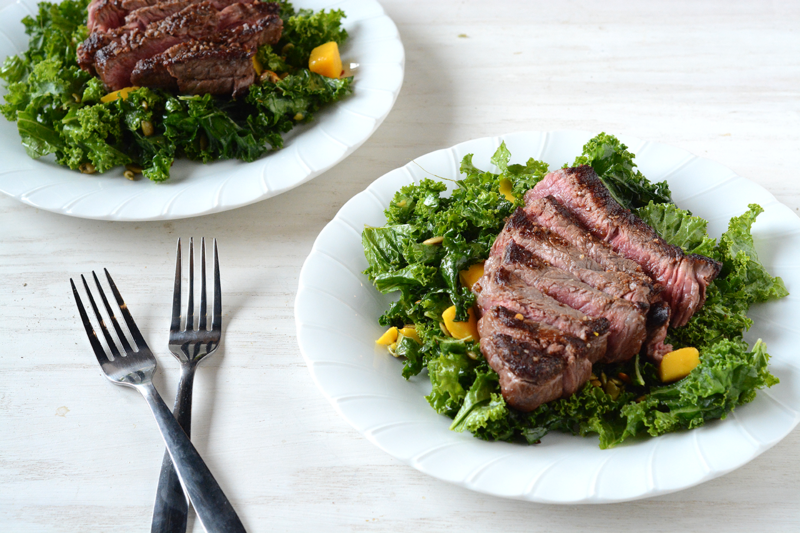 We massage kale with lemon, mango and honey and top with pan-seared sirloin steak and pumpkin seeds for a light yet filling salad! This is a quinoa salad you’ll want to make over and over again. 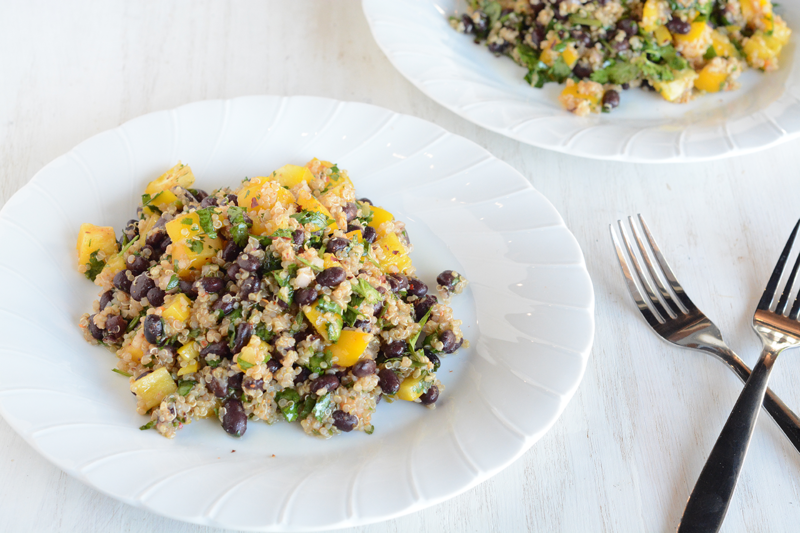 We take tender black beans, fresh cilantro, crunchy bell pepper and fluffy quinoa and toss everything in a fajita-style citrus vinaigrette for a light yet hearty meal perfect for weekday lunches or dinner in a hurry! Certain veggies don’t get the credit they deserve and nowhere is that more true than with the humble beet. 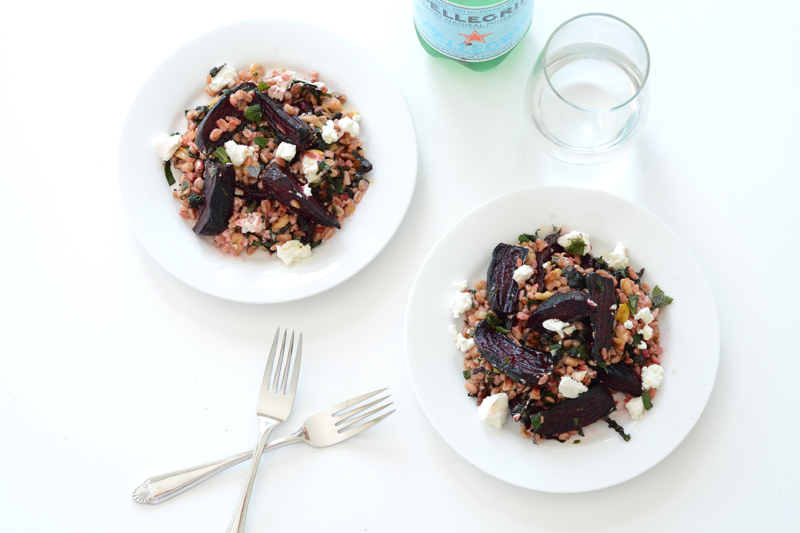 For this hearty vegetarian dish, we combine crispy baked beets with farro, lemon, walnuts, mint, goat cheese and crucially, the beet greens to create the ultimate winter salad. If you can show me someone who doesn’t love beets after eating this salad, I’ll show you a liar! At AHP, our favorite part about cooking is building flavor profiles and combinations and one of the best places to experiment is with quinoa salads. Want sweet and creamy? Pair roasted squash with goat cheese. Want earthy and zesty? Massage kale with citrus. Want little pockets of tart and nutty? Add toasted almonds and cranberries. 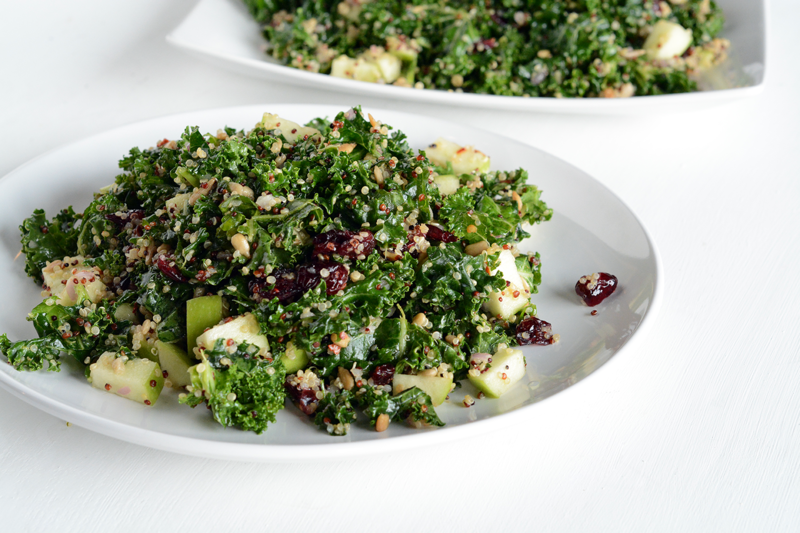 Want the ultimate winter salad? Combine all of the above! 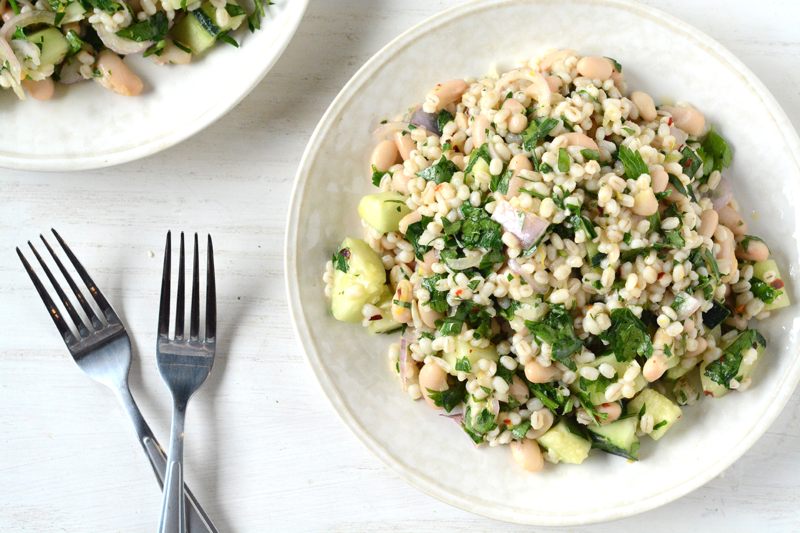 A fresh, light springtime salad that’s loaded with a variety of warm weather flavors and textures like chewy barley, creamy white beans, bright lemon and crisp cucumber. Νόστιμο! 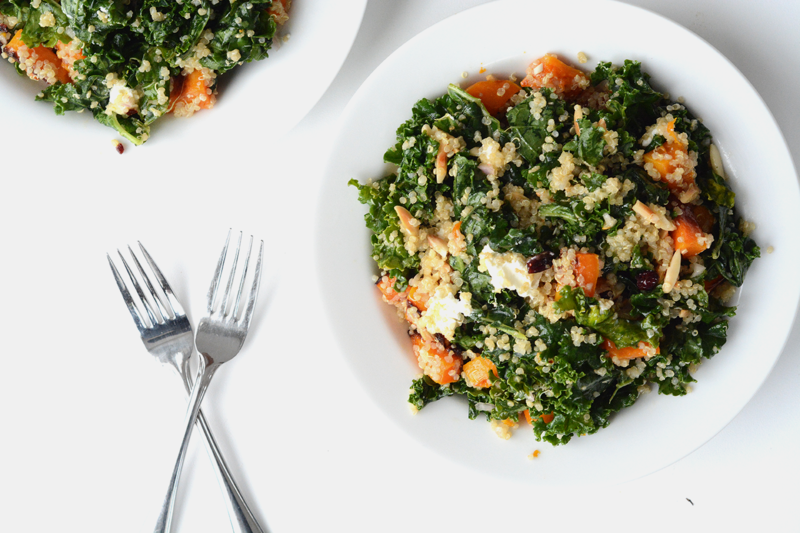 Quinoa kale salads are a staple at AHP since they’re just so versatile. 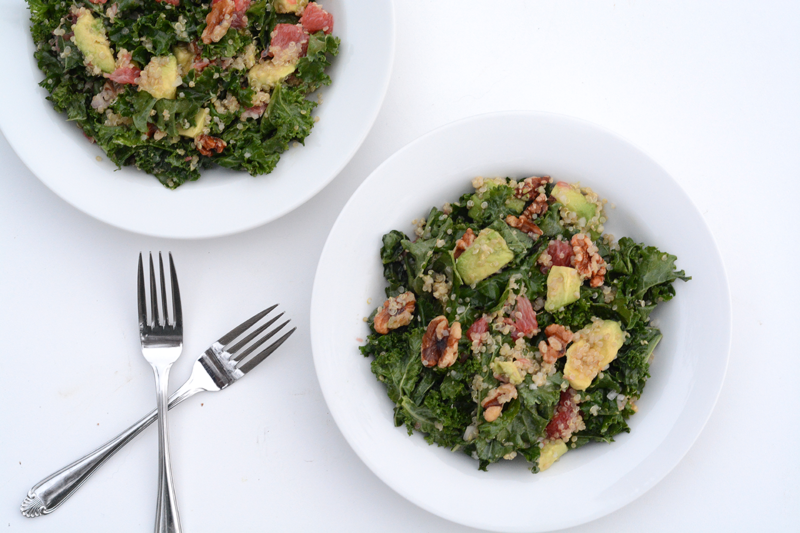 And for this week’s entry for the perfect dinner or prepped-ahead lunch, we combine massaged kale and quinoa with grapefruit, avocado, walnuts and a lemony honey-mustard dressing for a salad that will make anyone just as much of a fan as we are! 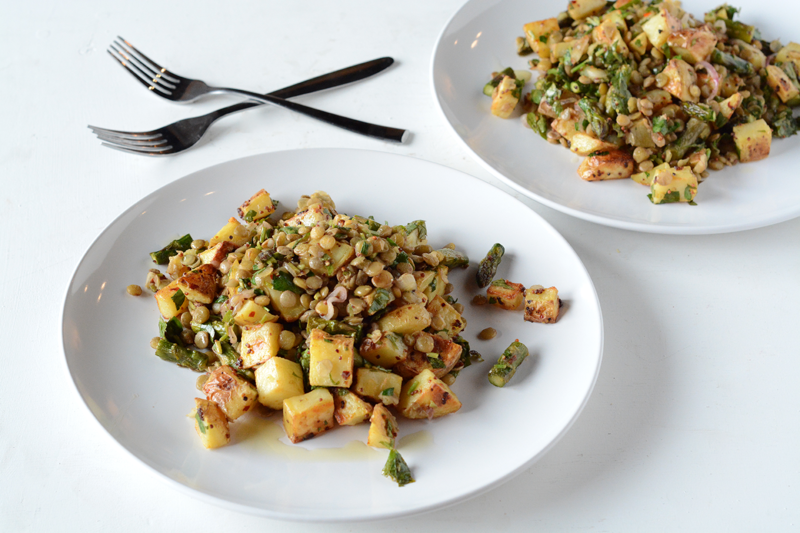 Warm wholegrain mustard-roasted potatoes and asparagus come together with green lentils for a hearty salad that’s equally good for dinner or lunch! Read all about it! 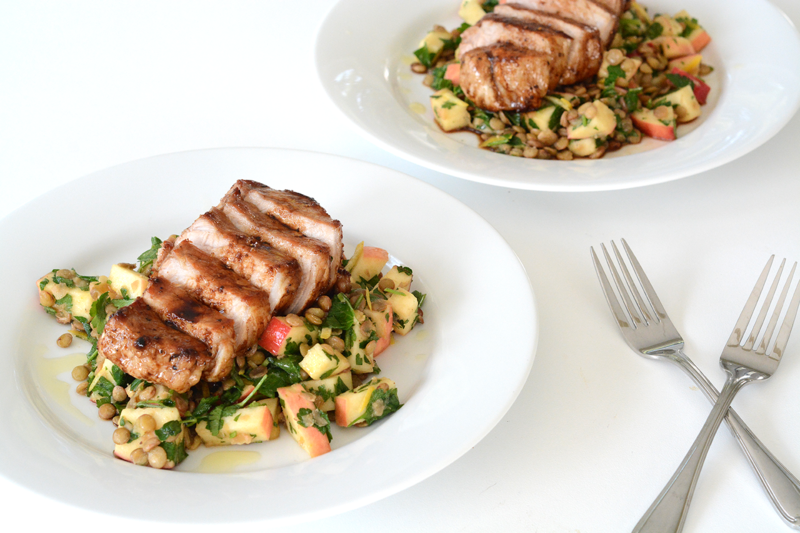 Apples, lentils and balsamic pork chops have settled their differences and combined to form the mother of all spring salads! They may all have very different flavors but after mediation with lemon and parsley, they’ve realized that life will be better if they all work together! 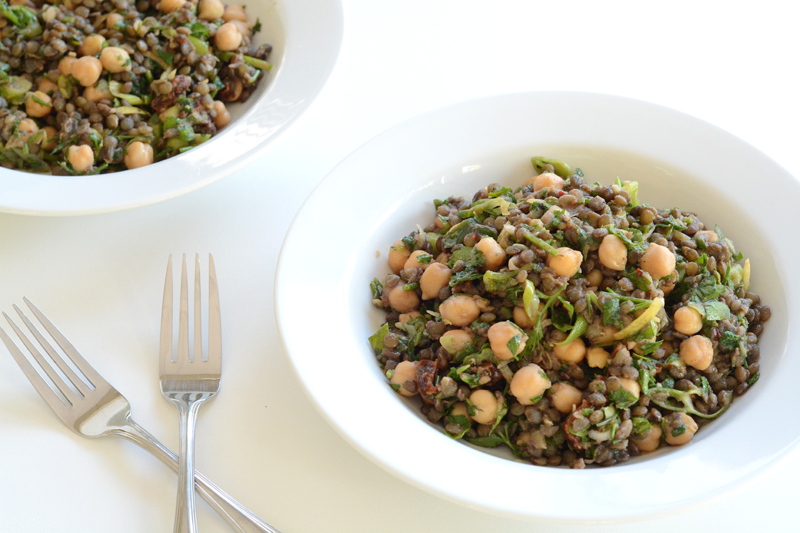 Time for a hearty vegetarian main loaded with protein, fiber and tons of flavor! The sun-dried tomatoes, parsley, lemon and green onion make this salad perfect for lunch or dinner all year round!